In 1971 Daniel Demez, at this time a wood carver, inherited a plot of land of his father-in-law. 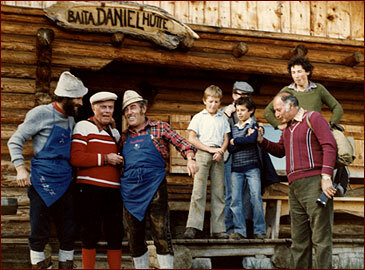 With his friends he built the first "Daniel Hut", which has been a family run concern since then. 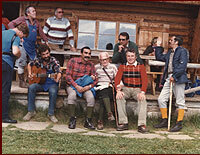 In 1995 his son Samuel with his wife Brigitte took over the hut. We are proud of the many important visitors we had, like politicians, famous personalities of the sport and light entertainment program as well as the ex Italian president Sandro Pertini.